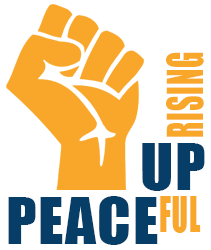 We seek to inspire citizens to recognize themselves as agents of change, and to build communities that empower and enable each of us to take effective, necessary nonviolent action. We want a just and healthy world. We recognize that a revolutionary departure from the status quo is required. A greener, cleaner version of the existing world whose core values of greed and hyper-individualism are the core of the crisis we combat– will not suffice. We want immediate, dramatic political and social change. We recognize that this degree of transformation must originate within each of us.